Very nice opportunity in northeast Logan County, NE with county road access, a seasonal flowing Wild Horse Creek, very good sandhill rangeland that is crossed fenced into three pastures. This is a nice starter property or an add on to an existing operation. Located in northeastern Logan County, Nebraska, this nice little property offers good county road access, a seasonal flowing Wild Horse Creek along the western portion and very good sandhill rangeland. 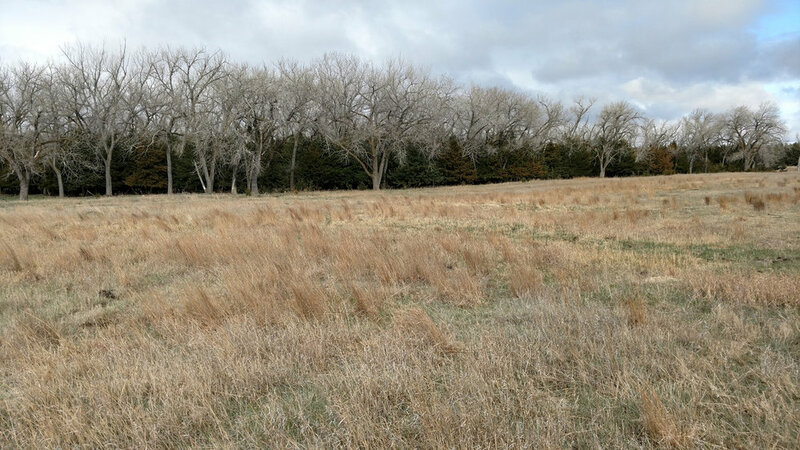 This pasture land consists of very good sandhill rangeland with a mix of sub-irrigated bottom land along the Wild Horse Creek that could be harvested for hay or grazed. It is crossed fenced once to form 3 pastures. Stock water provided by a windmill in the central part of the property and the northeastern corner as well as the creek. A very nice set of trees is located in the northeastern portion of the property. This property has been very well taken care of and is in very good condition. If you are looking for a spot to start a new beginning this very well could be it. Electrical power is about a half mile away to the north of the property. Wild Horse Creek is a spring fed creek that flows from the south to the north through the property. It eventually flows into the Dismal River to the north of the property. From Stapleton, NE; 12 miles north on Hwy 83 to CR 190 then 9 miles east and north to property. From Dunning, NE; 20 miles south and west on Wild Horse Creek Road to the property.